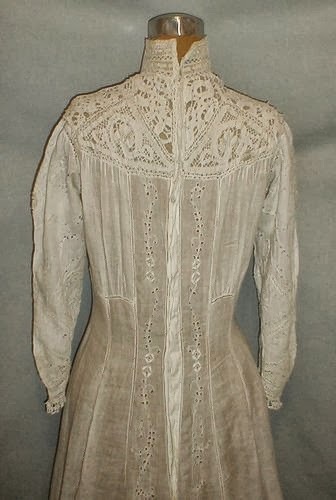 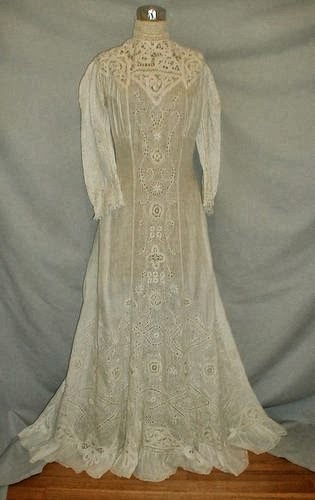 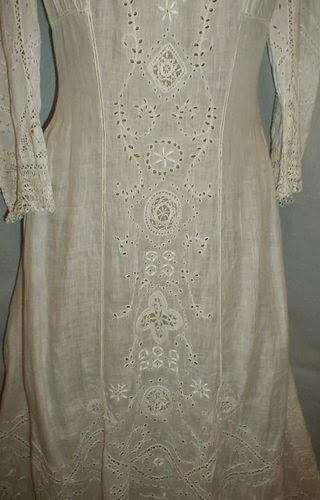 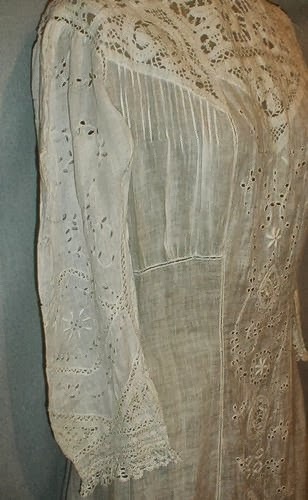 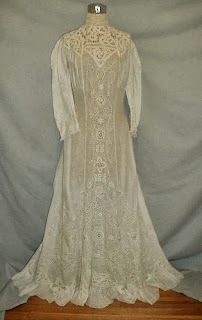 A romantic1900 Edwardian white tea dress. The dress is lavishly decorated with eyelet trim, embroidered flowers and vines and inserts of Cluny lace. The bodice has a high neck insert made of Cluny lace. 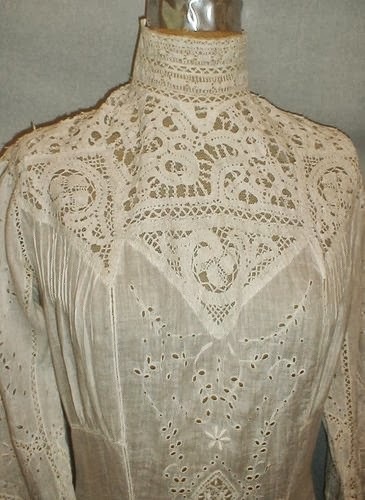 The lace is laid over net lace. The sleeves, front panel and lower edge of the skirt are all trimmed in this manner. The dress is unlined and has a back button closure. 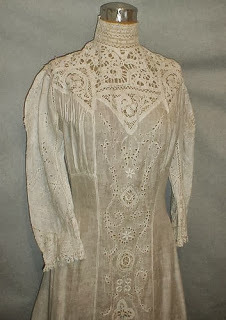 It is in excellent and wearable condition. There are no holes, no underarm discoloration and no age spotting. 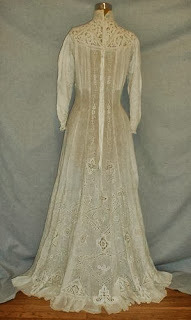 It would make a wonderful wedding dress. 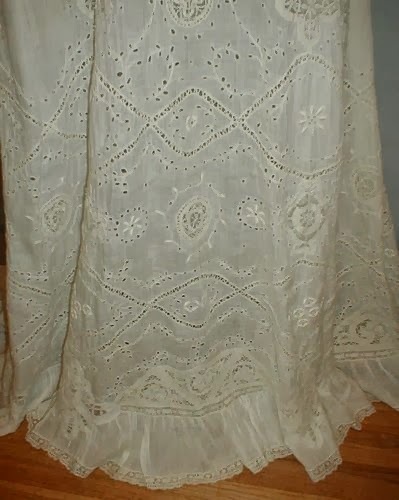 Bust 34 Waist 26 Hips 36 Skirt length 41. 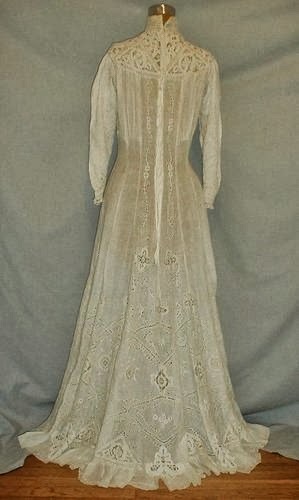 Probably about 1908 or so.